How do you take students performing in the bottom 25 percent of their class to walking across the stage at college graduation? 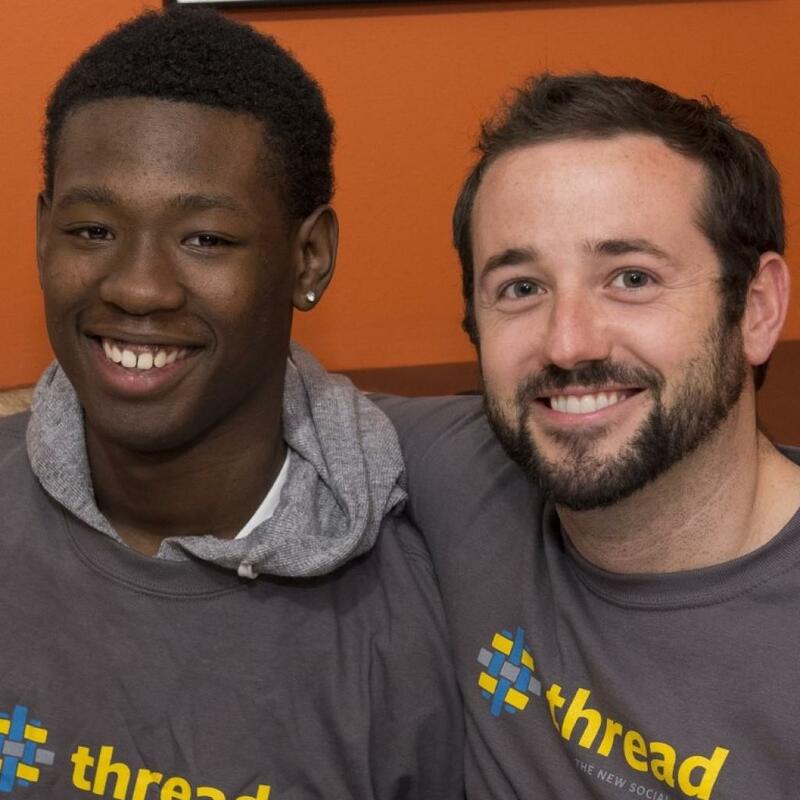 The Baltimore non-profit Thread seems to have the answer: follow each student for a decade, provide them with a team of supporters, and do whatever it takes to help kids succeed, from packing lunches to matching students with summer internships. Ninety-two percent of Thread students graduate from high school, and 90 percent are accepted to college. Sarah Hemminger, co-founder of Thread, tells us how Thread is scaling up its efforts. And we hear from a volunteer and from a member of Thread’s first cohort, now a board member with the organization. No income tax cuts for Marylanders, but the aerospace corporation Northrup Grumman will get $37.5 million dollars in tax breaks. These were among the many last minute decisions the General Assembly made before the clock struck midnight last night. We look back at the session and examine which proposals made it to Governor Larry Hogan’s desk and what happened once they arrived. WYPR Statehouse reporter Rachel Baye brings us the latest from Annapolis. Plus: Barry Rascovar of the Political Maryland blog and Baltimore Sun opinion editor Andy Green offer their reflections on the testy relationship between our highly popular Republican governor and a legislature dominated by Democrats. Race, policing, inequality. We speak to two Baltimore City public school teachers about how their classroom conversations have changed in the year following the Baltimore Uprising. What have students shared about their perceptions of police? How have the issues raised by Freddie Gray’s arrest and death been incorporated into lesson plans? One Baltimore class connected with students in Washington state, answering questions about how the riots impacted their neighborhoods. Breaking news in the police trials related to Freddie Gray’s death. We’ll start with an update from WYPR reporter Kenneth Burns. Then: the three men vying to be the Green Party nominee for mayor of Baltimore. The Green Party will hold its own primary just after the one in late April for Democrats and Republicans. Joshua Harris is an activist and organizer. Until recently he was running as a Democrat. Emanuel McCray is a community organizer and Army veteran; this is his second bid for mayor. And David Marriott, former police officer and Marine, is running for the first time. We’ll discuss housing, jobs, police reform, schools, and other issues.